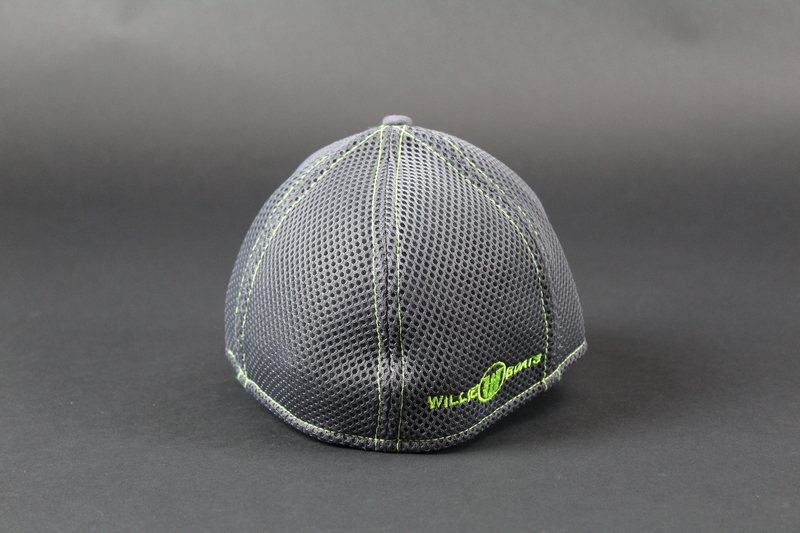 New Era stretch mesh contrast stitch hat. 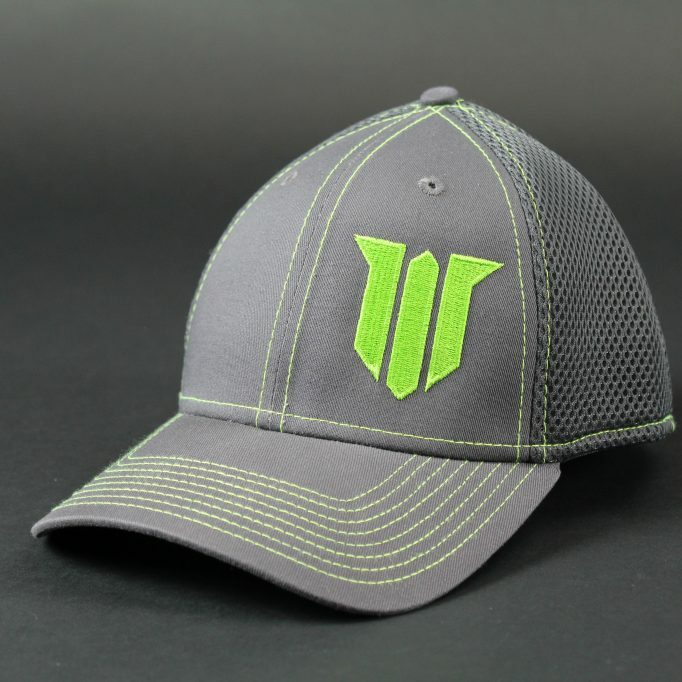 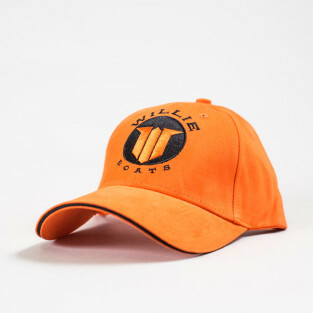 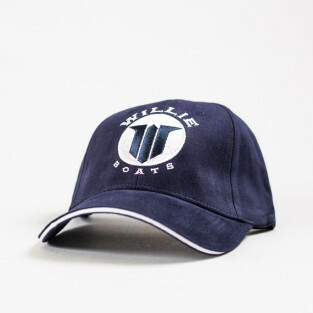 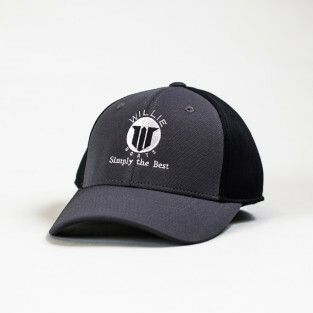 A stretch fit offers superior comfort while contrast stitching gives this breathable cap visual appeal. 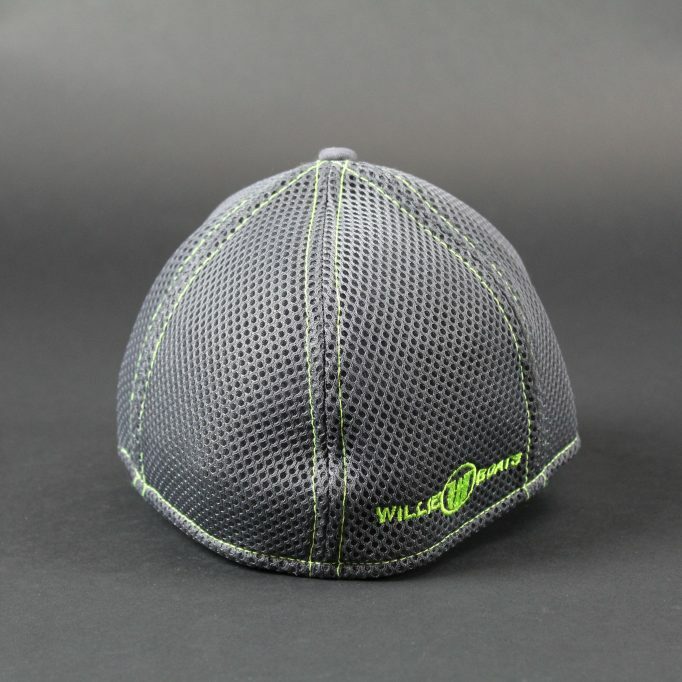 100% Cotton in front two panels, 100% Polyester spacer mesh in mid and back panels. 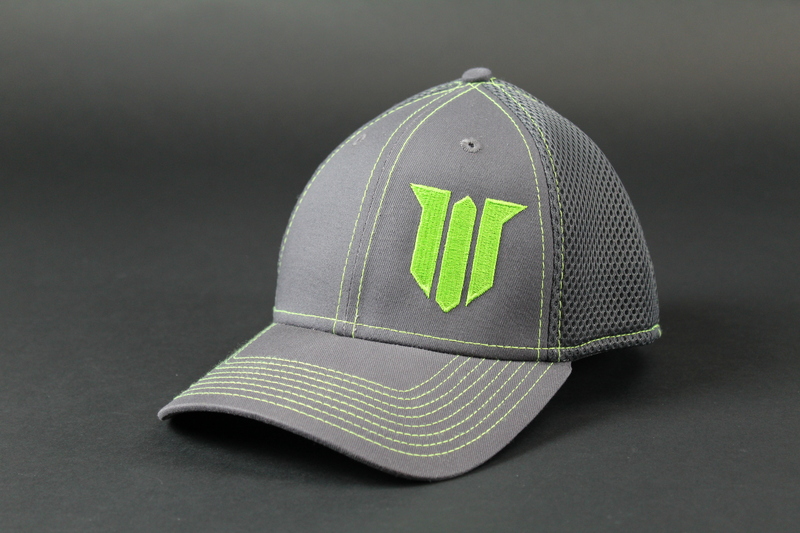 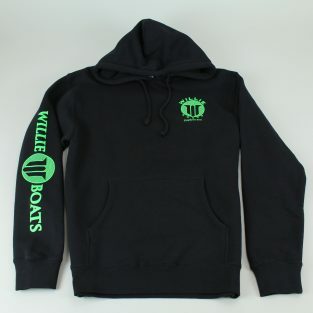 Graphite/Cyber Green color.